LG is working on bringing Google’s AR stickers to the LG G7 ThinQ smartphone. Six months since the launch of Google Pixel’s AR Stickers, they are finally making their way onto a handset from a manufacturer other than Google. Last year, both the Pixel and Pixel 2 got new Augmented Reality (AR) stickers – 3D objects and characters – that let users express themselves with virtual characters and emojis that come to life. With the feature, users can choose from a plethora of AR stickers to create their own stories. It works right from the camera app and until now, it was exclusive to the Pixel and Pixel 2 lineup with Android 8.1 and above. 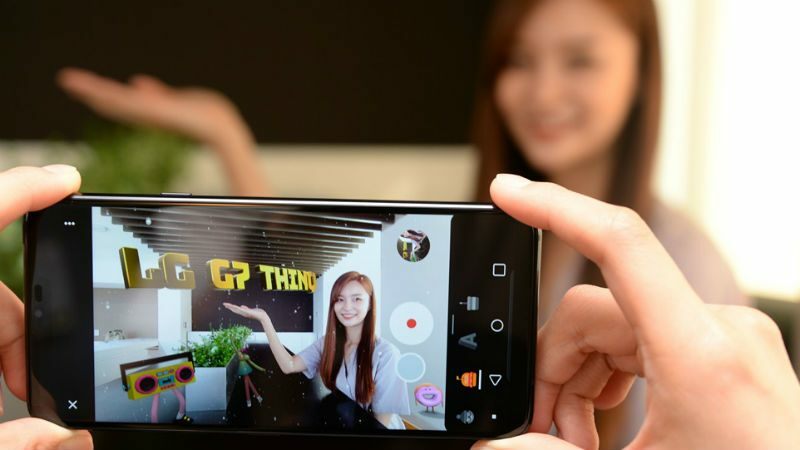 In a blog post, LG announced that the next software update will enable AR Stickers on the G7 ThinQ phone. According to LG’s release, the feature will arrive with AR Stickers accessible through the native camera app, similar to the Pixel handsets. There is no clarity on whether the special sticker packs like Star Wars and Stranger Things will be available, but the key feature will be present. As of now, there is no information regarding the availability of AR Stickers for G7 ThinQ users. Also, the company has not revealed whether the feature will arrive to phone outside Korea or not. However, it is interesting to see Google expanding the feature beyond its Pixel series. Since this is the first time that Google is enabling the AR Stickers app to function on a smartphone that isn’t part of its own flagship line, it is indicating a possible move to expand access to the feature. To recall, the AR stickers take advantage of Google’s ARCore platform, and to use the stickers you have to just open the Google camera app, go to the left navigation menu, and select ‘AR Stickers’ from the camera modes. You will then see a row of available characters on the bottom. You can drag them onto the camera feed and place them wherever you wish.